Today at the 1st International Conference on Asbestos Awareness and Management, Insight Communications launched the video “Betty on the Open Road: Driving Home The Dangers of Asbestos”, a promotional tool to educate stakeholders on the importance of asbestos education. 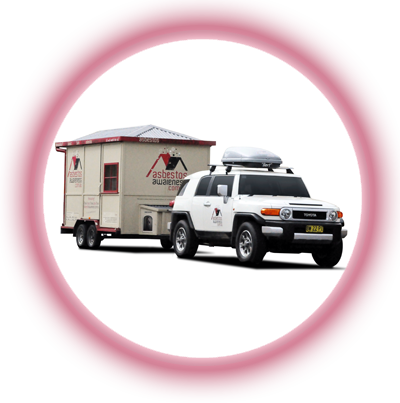 ‘Betty’ – The ADRI House, an initiative of Insight Communications working with the Asbestos Education Committee in partnership with the Asbestos Diseases Research Institute (ADRI), is a purpose built, mobile model home designed to demonstrate where asbestos might be found in and around any Australian home built or renovated before 1987. Betty’s mission is to educate all Australians about the dangers of asbestos so they stop playing renovation roulette and think smart, think safe, think asbestosawareness.com.au, because it’s not worth the risk! Betty was launched on November 25, 2012. This promotional video was filmed during Betty’s Tour of the NSW Central West during mid 2013.